There comes a time in all our lives when we reflect on our past. We contemplate the decisions we’ve made, the mistakes, the losses we’ve suffered, and our happiness. 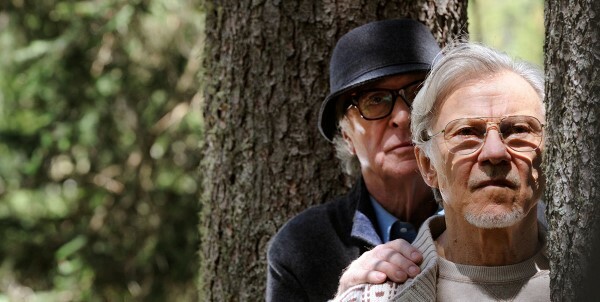 Director Paolo Sorrentino, whose previous work The Great Beauty won the 2014 Academy Award for Best Foreign Language Film, has returned with an elegant and humourous take on friendship, family, and aging presented with wisdom and grace. Deserving of a relaxing and rejuvenating retirement, composer Fred Ballinger (Michael Caine) has been checked into a resort hotel and spa in the Swiss Alps by his daughter Lena (Rachel Weisz). He is kept company by his best friend filmmaker Mick Boyle (Harvey Keitel) and aspiring actor Jimmy Tree (Paul Dano), desperate to no longer be known for his most famous role. Their days are filled with massages, doctors’ visits, long walks, and introspective talks about their decades of living. Each are struggling with the things they regret and are trying to stay relevant in the face of their past successes. Over the course of their journey, each character comes to accept their faults and one comes to the conclusion that they’ve given all they can in this life. The director approaches this material with a maturity beyond his years. The calm, simple setting for this story allows the actors to really sink into these roles and explore them with depth. They are allowed space to breath and grow into these characters and it’s easy to see the two leads (Caine and Keitel) drawing on their own decades of living to infuse these characters with humility and authenticity. After having lived for so many years, and been through so many ups and downs together, Fred and Mick observe the world with a dry sense of humour that doesn’t hold any punches. They’ve put up with enough in their lives and have too few years left to live to care to sensor themselves. This gives the film a charming poignancy that balances well with the drama felt that comes with this kind of introspection. 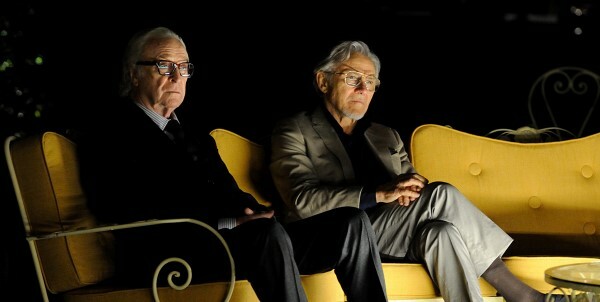 Caine and Keitel deliver classical, experienced performances that showcase their mastery at work. A heartbreaking scene near the end is the emotional epitome of what the director is conveying with this film. So much can be said simply through silence and body language. Jane Fonda pops up for an amusing short cameo as former Hollywood starlet Brenda Morel, who had her career launched through Mick’s films. She too is struggling with staying relevant and it reiterates the themes being explored in the film. For anyone looking for a mature, adult-oriented alternative to the typical Hollywood fare, this would be a solid recommendation. Although the beautiful location where it was shot certainly shines on screen, the best elements of the film are clearly the ensemble acting performances. The film has been crafted with a beautiful competence that makes it one of the best of the year.